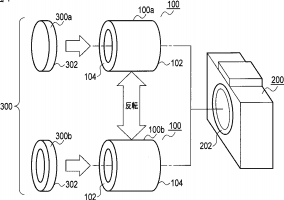 → Fujifilm filed a patent for a Optical Viewfinder with Built-in Zoom. → Olympus filed a patent for a 12-40mm f/2.8 (24-80mm equivalent) and 12-50mm f/2.8-4.0 (24-100mm equivalent) lenses designed for Four Thirds. 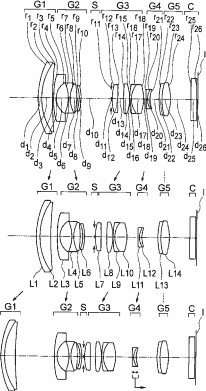 → Olympus filed a patent for a reversible lens that can also be used for macro photography. 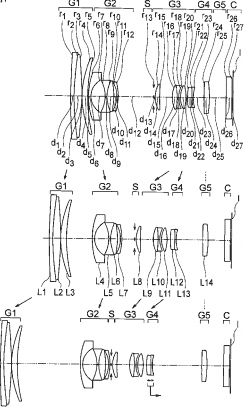 → Panasonic filed a patent for a 150mm f/2.8 lens for Four Thirds (300mm equivalent). 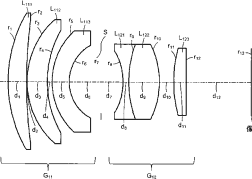 → Canon filed a patent for a 1.03x viewfinder designed for APS-C cameras. → Another interesting patent from Canon - a five layer sensor (with red, green, blue, UV and IR layers). 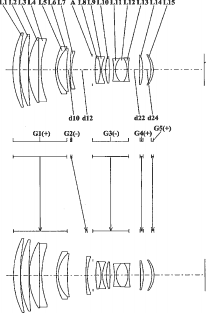 → Tamron filed a patent for a 35mm f/1.2 lens designed for 2/3 " sensors. This entry was posted in Canon, Fuji, Olympus, Panasonic, Tamron and tagged Patents. Bookmark the permalink. Trackbacks are closed, but you can post a comment.